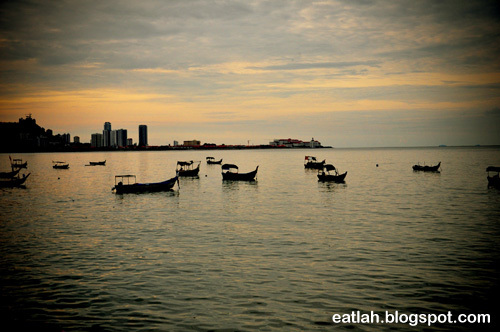 Northam Beach Cafe @ Jalan Sultan Ahmad Shah, Penang | where and what to eat lah? 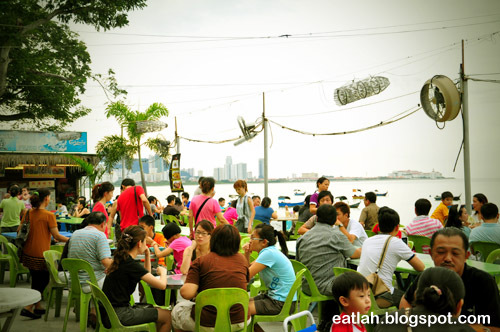 Northam Beach is an alfresco food court set in a converted bungalow land, over-looking the seaside and located along Jalan Sultan Ahmad Shah, formerly known as Northam Road. 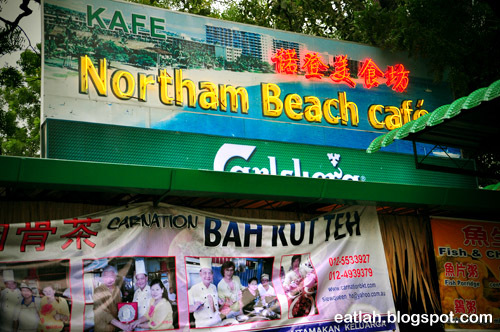 Unlike any typical Penang food courts that serve only char koay teow, Hokkien mee, assam laksa and rojak, Northam Beach Cafe offers a mixed variety local and Western cuisines. Northam Beach Cafe seems to be a popular hangout place for many youngsters and tourists. It tends to get a little crowded especially during dinner time. 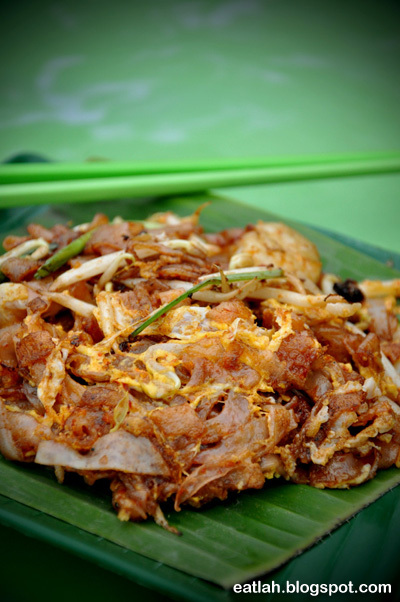 I always wanted to try the duck egg char koay teow (RM 5). The use of duck egg supposed to make the noodles more fragrant and richer taste with a thicker texture compared to the regular chicken egg. Unfortunately, this plate of char koay teow was quite bland and dry. One of the stall, Wunderbar German Sausages that serves German sausages was apparently quite popular. 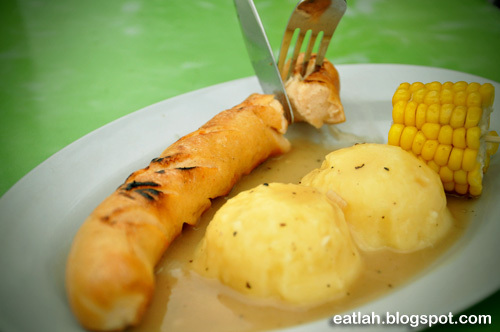 We had the Vienna grilled pork sausage with mashed potatoes and grilled buttered corn (RM 9). Was expecting the authentic German sausages with strong flavored minced meat but didn't know that Vienna sausage tasted like frankfurters. The mashed potatoes were nice though, it was smooth and creamy. 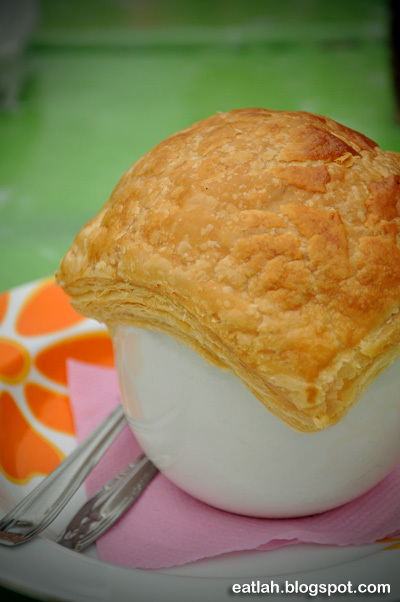 Pumpkin soup pie (RM 9.50), it was decent, nothing to shout about. But for that price, I'm sure there are better worthy soups out there. Colorful mua chee (RM 3), consisting of the traditional flavor, sweetcorn, pandan, green tea, black sesame, blackcurrant and lychee. 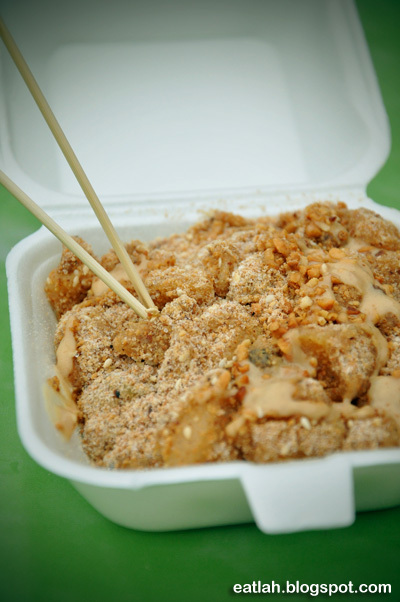 In addition to that, peanut butter sauce were added on top to enhance the nutty taste of the mua chee. The outcome...it was weird with all the different flavors in it! Plus, I didn't like the mua chee texture and it wasn't warm at all, I'd still prefer the traditional flavor mua chee served fresh and warm. 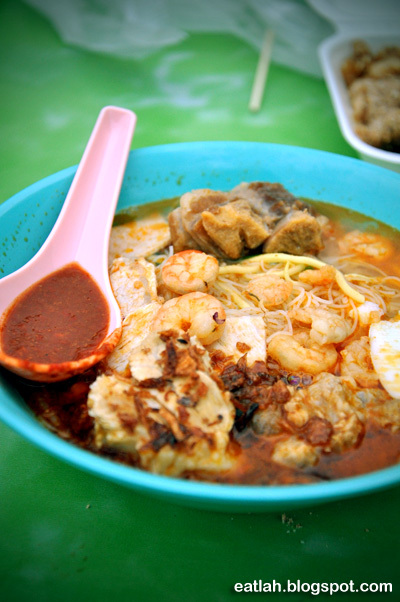 Pork ribs Hokkien mee (RM 5), spicy soup of mee (egg noodles) and bihun (rice noodles) in a stock made from prawn, dried shrimp and pork ribs. It was just okay, it'll be better if only the soup has stronger prawn taste in it. 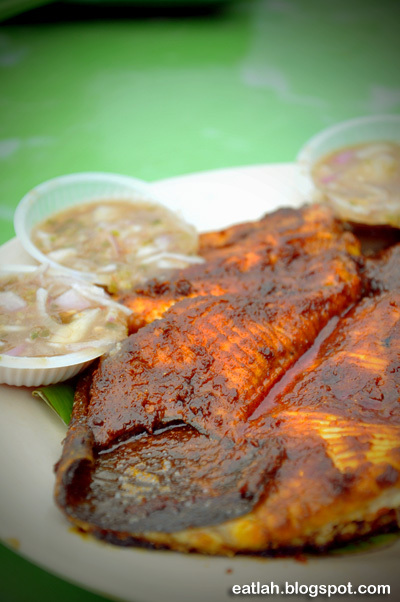 Grilled stingray fish (RM 13), the marination for the fish was lacking somehow. It wasn't flavorful and tasty enough, but at least the fish was fresh. 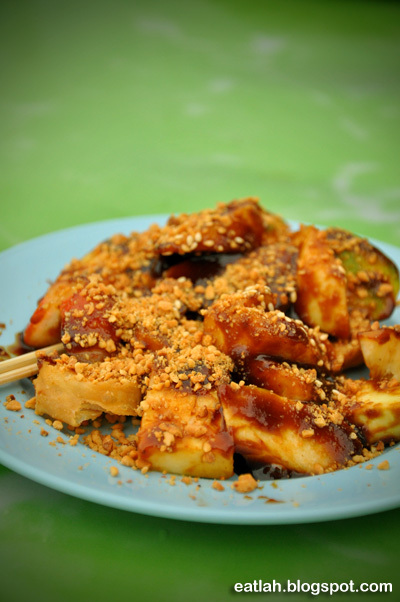 Rojak (RM 4), personally felt that the rojak in Gurney Drive was much better than this. Didn't really enjoy the food at Northam Beach Cafe and I still couldn't understand why this place is packed not only with tourists but also with the locals. Maybe it's the breeze from the seaside and the sunset view accompanying the dinner which can be quite therapeutic for certain patrons? Not for me though, I hated the after-effects with sticky salty skin. Verdict: Not the best quality of food at an expensive price in Penang. Even though the location is strategic with ample parking spots and wide variety of foods, I'm still a sucker for quality food. Business Hours: Opens daily from 6pm - 11pm. Closed on Tuesday.